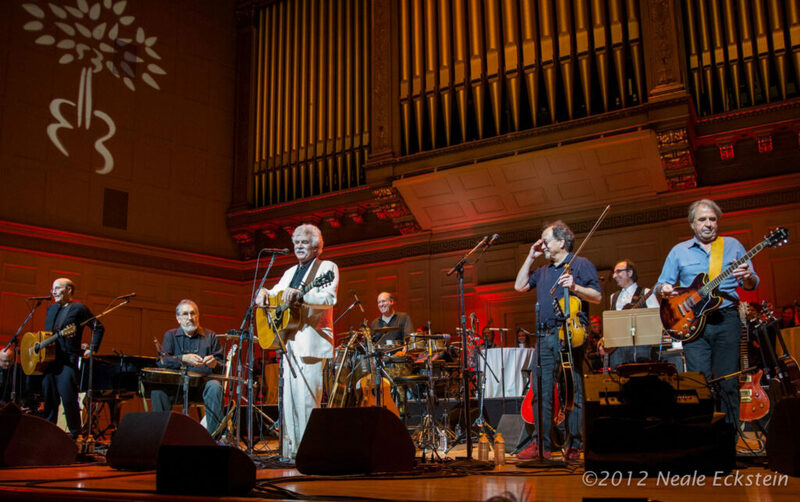 Triple Z co-owner Paul Guzzone has performed with the legendary Tom Rush around the country and was a part of Tom’s reknowned “Club 47” holiday concerts at Symphony Hall in Boston. This year Tom revived the Symphony Hall tradition to celebrate his 50 years of music making. Paul led the house band (Joe Mennonna and Marshal Rosenberg) for this great show with guests Jonathan Edwards, David Bromberg, Dom Flemons of the Carolina Chocolate Drops, Buskin and Batteau, Eric Lilljequist, Dean Adrien and Trevor Veitch. Read the Boston Globe Review.